The Incline Flume Trail, known as the “other flume” trail, runs from Mt. Rose Highway to the Tunnel Creek Trail above Incline Village. Its easy and flat terrain makes it the most family-friendly biking and hiking trail in the Basin. While a well-used trail by many, it was not recognized as an official trail by the Forest Service until recently. In this status, we were unable to add way-finding and interpretive signage, or do much-needed trail reconstruction and maintenance work. The Tahoe Fund, working with the Friends of Incline Trails, funded and secured the necessary environmental approvals to make it an official Forest Service trail. This new designation was received in May 2017, paving the way for Tahoe Fund to secure a grant for $130,000 from the Recreation Trails Program that will help improve the trail, build a retaining wall in a particularly erosive area, and install interpretive and way-finding signage. It will also help fund the transfer of the historic bull wheel (located nearby the trail) from the Nevada Land Trust to the US Forest Service. 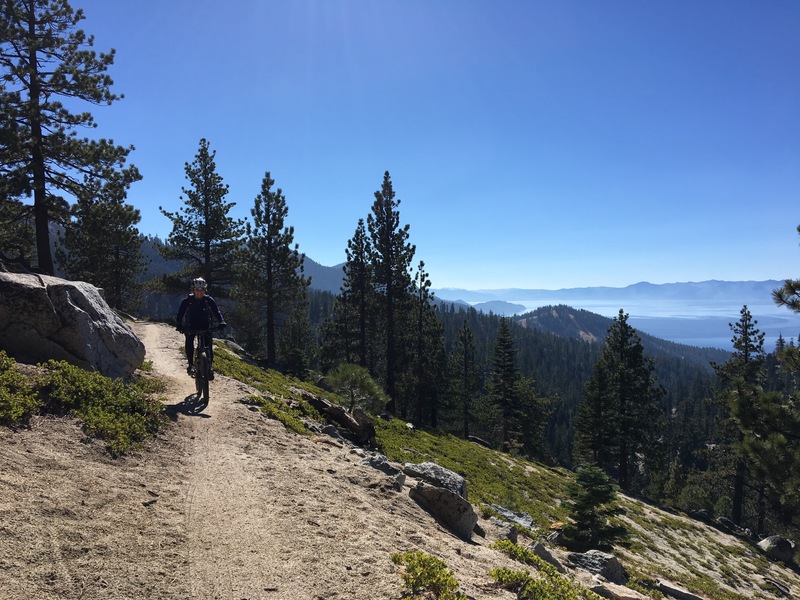 The restoration work will be led by the Friends of Incline Trails in partnership with the Forest Service, the Tahoe Rim Trail Association and the Tahoe Area Mountain Biking Association (TAMBA). Trail days are scheduled for June 15-17, July 21-23, August 12, and September 26, 28 & 30. In December 2015, David and Cheryl Duffield donated 18.6 acres of land along the trail, including the historic bull wheel, to Nevada Land Trust, a nationally-accredited nonprofit conservation land trust based in Reno whose work includes a portion of the Tahoe Basin. Volunteers from TAMBA, the Tahoe Rim Trail Association, and Friends of Incline Trails built the missing link of the trail through that section of property in Fall 2016, opening the trail from Mt. Rose Highway all the way to the Tunnel Creek Trail. The land will be transferred from the Nevada Land Trust to the Forest Service later this year, putting the entire trail in public hands for the first time in decades. We have started accepting donations on behalf of the Friends of Incline Trails to help with the work on the trail.